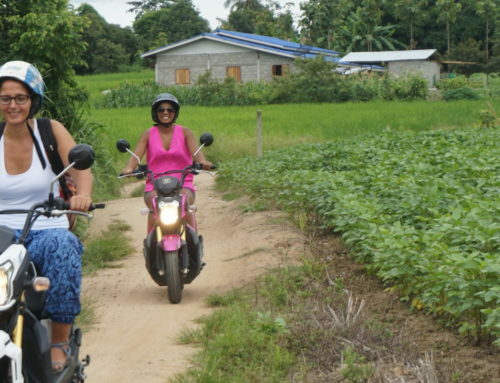 One great aspect of traveling through Thailand is easy access to affordable transportation. For example, bus routes criss-cross the country, passing through, or at least by most villages. Additionally, airports have sprung up like mushrooms on a log. As a result, it is possible to get from one distant point to another in the same day. Finally, there is the rail system snaking through the countryside. It is the rail system that we’ll focus on here. Specifically, taking the train from Bangkok to Khao Sok. Unfortunately, there is no direct train from Bangkok to Khao Sok. However, the rail system does come close. The nearest train station lies in PhunPhin town, adjacent to Surat Thani, and 100 kilometers from Khao Sok. 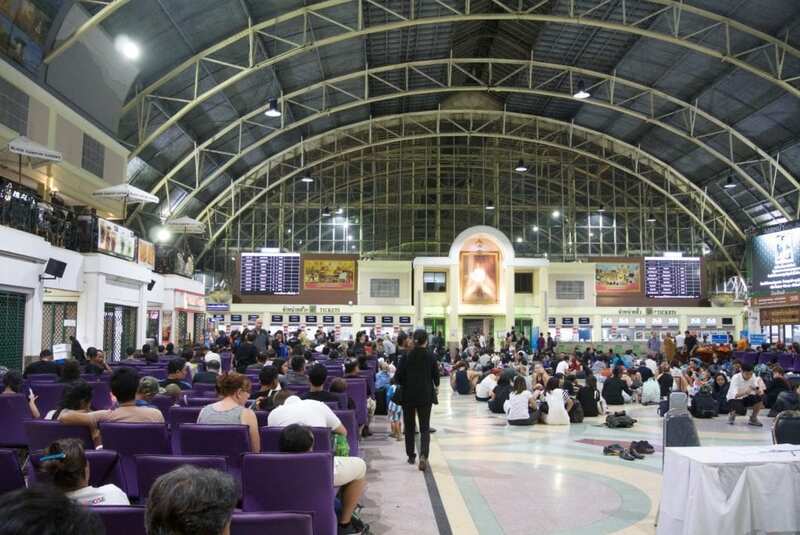 Our journey beings about 650 kilometers to the north, at Hua Lampong, Bangkok’s central train station. Traveling by train from Bangkok to Khao Sok begins with getting to Hua Lampong. This is an easy feat from pretty much anywhere in Bangkok. For example, the train station lies at the end of the MRT underground line. 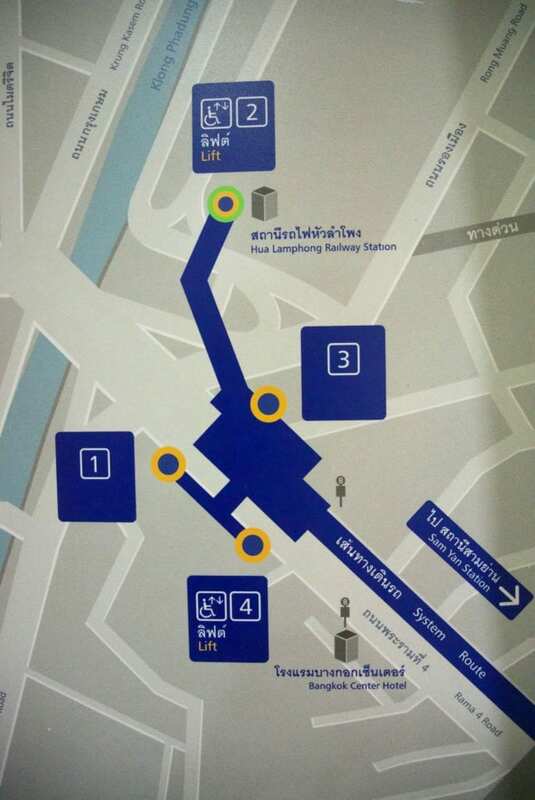 The underground crosses both Silom and Siam BTS lines at a couple different spots. 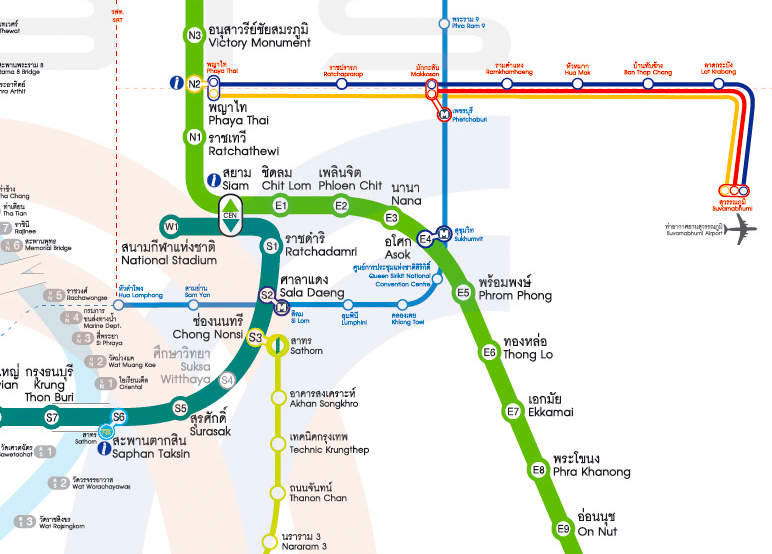 Click here for a complete map of Bangkok metro rail lines. Additionally, Hua Lampong can also be reached by a number of different bus lines. Finally, a taxi from Suvarnabhumi takes 1-2 hours, and will run you around 500B. In comparison, from Don Meuang airport the ride is 30 minutes – 1 hour and costs around 200B. 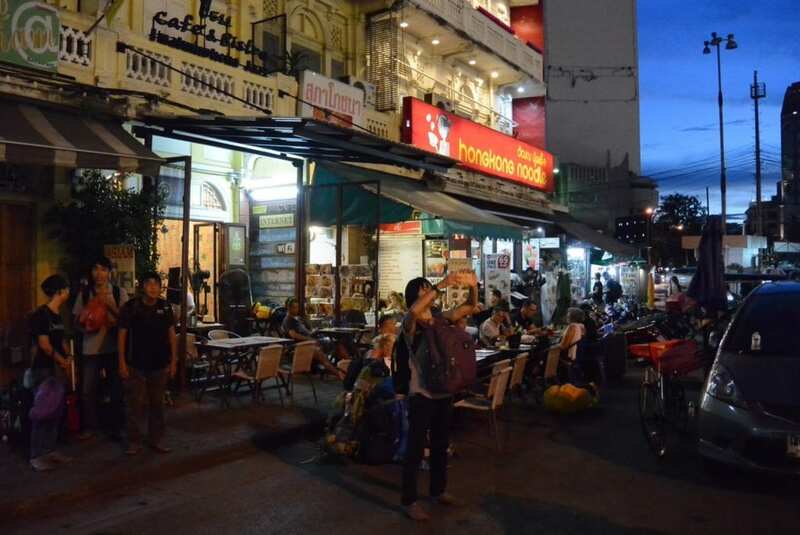 The area around the station has plenty of small restaurants catering to western travelers. Make your way to the station’s southern terrace, and you’ll see the restaurants adjacent the station, across the street. The 511 Cafe, for example, has decent food, as well as SIM cards for newly arrived visitors. Additionally there is a 7-11 and small market nearby. Please note that this is a busy area, specifically in regards to car traffic. Therefore, it is a good idea to use the MRT station below ground to get to the surrounding areas. If you have time before catching the train from Bangkok to Khao Sok, grab some food and snacks at the restaurants and shops nearby. Alternatively, it is possible to purchase food and drinks on the train. However, the prices are high, and the quality is lacking. Be advised that the sale and consumption of alcohol is prohibited on board, although these rules are not strictly enforced. Additionally, you will find enterprising Thais boarding the train at intervals stocked with food, snacks, and beer. Plan to arrive at Hua Lampong at least 30 minutes before departure by train from Bangkok to Khao Sok. For a sleeper car, buy tickets in advance. This can be done directly at the train station, or through most Bangkok travel agents. 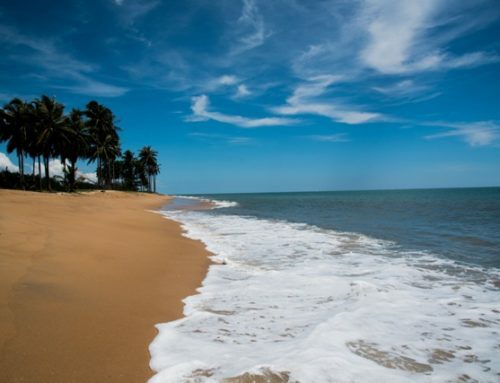 The author had a good experience dealing with the Charlie Connection Travel & Tour agency on KhaoSan Road. Showing up a couple hours in advance should be enough to get you a second class seat. However, this is risky during high season, as well as during major Thai holidays. A second class seat on the train from Bangkok to Khao Sok is less comfortable than on a VIP night bus. Nevertheless, it is a good value for the money. Seats range from 358B/person for a fan carriage, compared to 600B/person for a carriage with AirCon. You will get a bench seat and unsecured luggage rack. 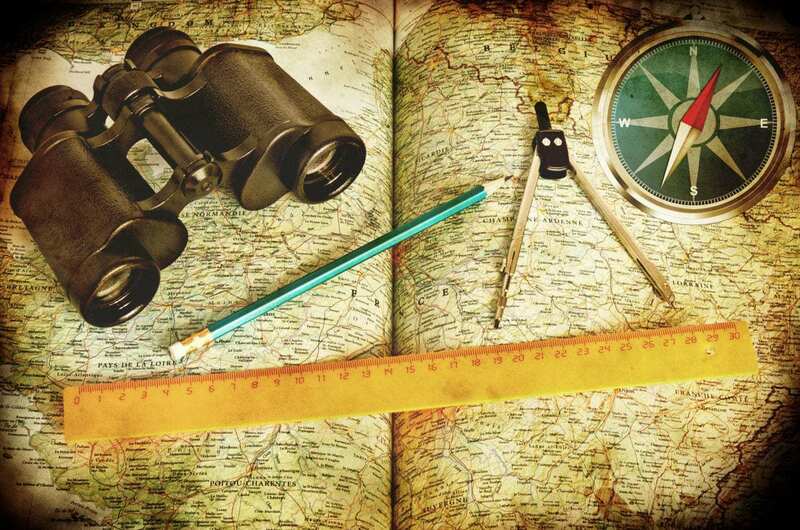 A good option for young travelers on a budget. Next, a second-class shared sleeper carriage offers a bunk bed in a four-person compartment. Prices vary depending on upper/lower bunk and AirCon/fan compartment, as well as the train. However, plan to spend around 500B/person for a fan compartment, and around 700B for one with AirCon. Finally, the first class carriage provides a private cabin, with two fold-down beds, sink, and mirror. Most first class cabins share a removable wall with a neighbor. As a result, noise travels easily. Prices for a first class bunk are around 1,100B for an upper bunk, compared to 1,300 for a lower bunk. AirCon is standard in all first class cabins, and will keep the cabin at a temperature just above freezing. For this reason, you should bring warm clothes for the journey! 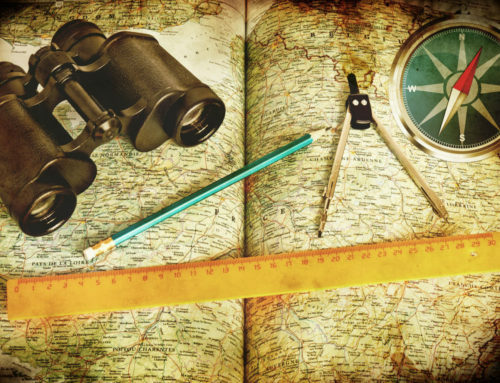 Travelers will be able to find a timetable of trips at Hua Lampong or at a travel agency. We have included the following to give you an idea of times for the train from Bangkok to Khao Sok. Keep in mind that this is Thailand! Specifically, your departure and arrival times are more of a suggestion than a guarantee. 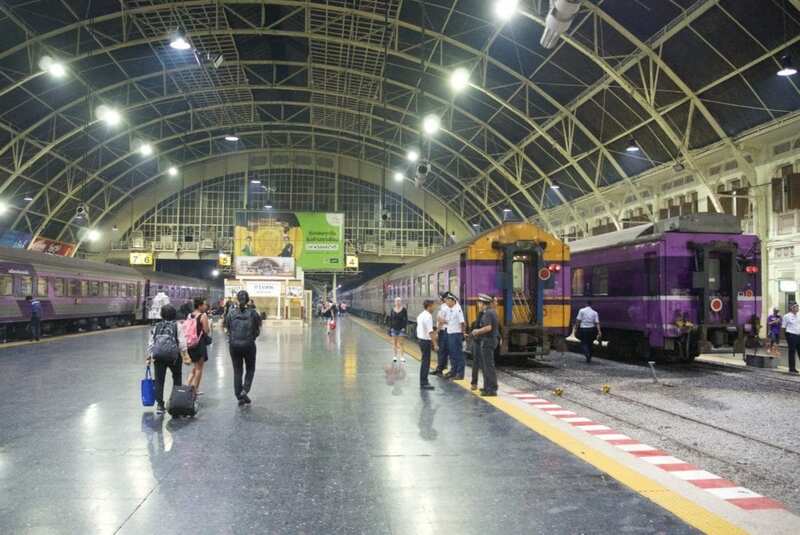 This author recently took the train from Bangkok to Khao Sok and arrived five hours late. Therefore, it would be wise to give yourself several free hours on your arrival day as a cushion. 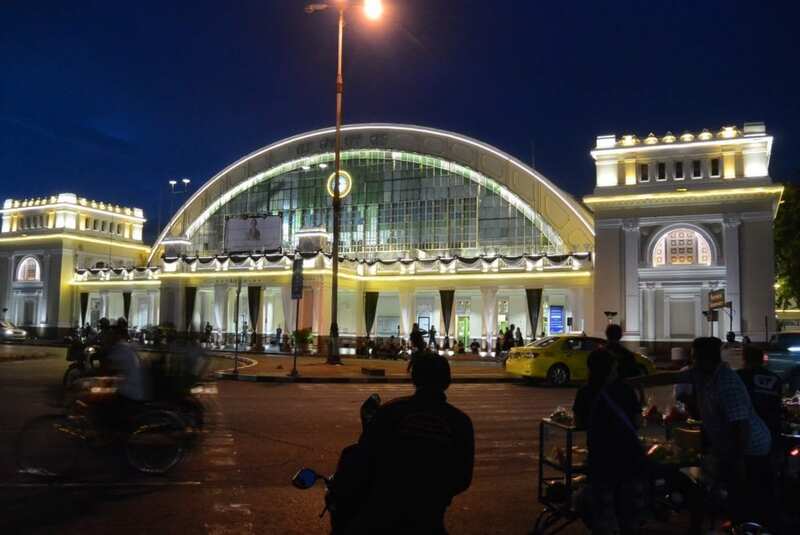 Once you arrive at the Surat Thani train station in PhunPhin, you will find many travel operators eager for your business. In contrast to the characters you will find elsewhere in Surat Thani, the people you will meet at the train station are fairly trustworthy. Here, you can get a shared minivan to Khao Sok for about 250B/person. There are also cars for hire at the train station starting at 2,000B. Finally, Khao Sok Riverside Cottage is happy to arrange private transfers from the Surat Thani train station. We charge 2,000 for three people, and 2,200B for four or more. Contact us for more details! 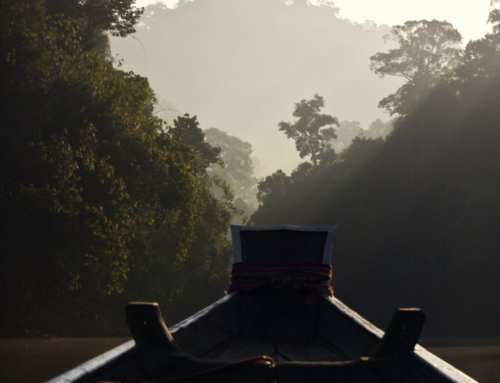 Looking for a quicker trip to Khao Sok? 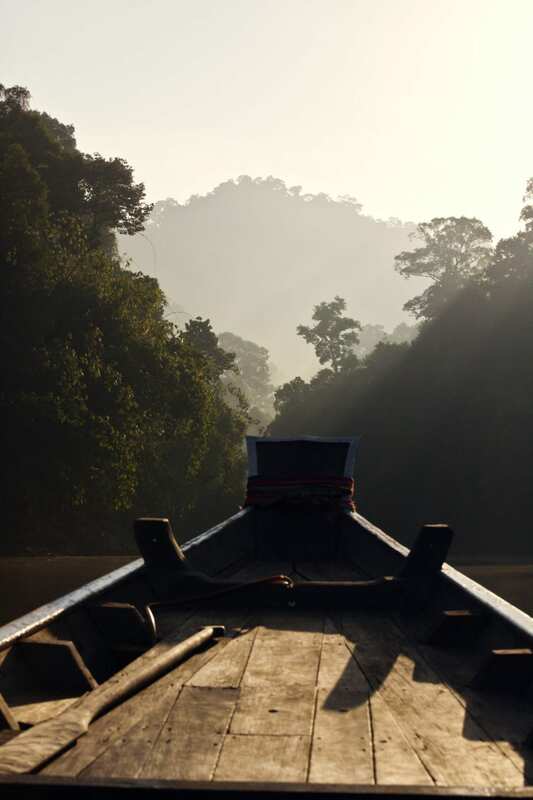 Be sure to read our blog about getting to Khao Sok from Surat Thani airport! Our commitment to a great guest experience is genuine at the Riverside Cottages. As a result, we’ve prepared quite a few useful posts on our blog page. If you are planning a trip to Khao Sok, take a minute to browse the topics there. Not sure how to fill your days in Khao Sok? 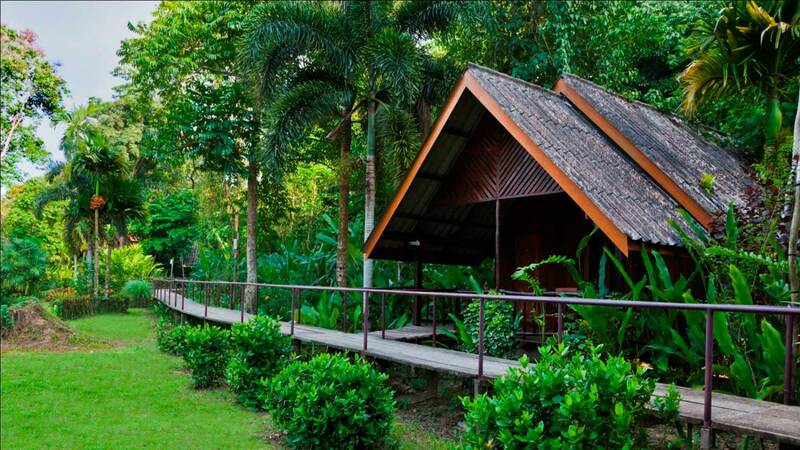 You can find a full activities list and suggested Khao Sok itineraries on Riverside Cottages website. 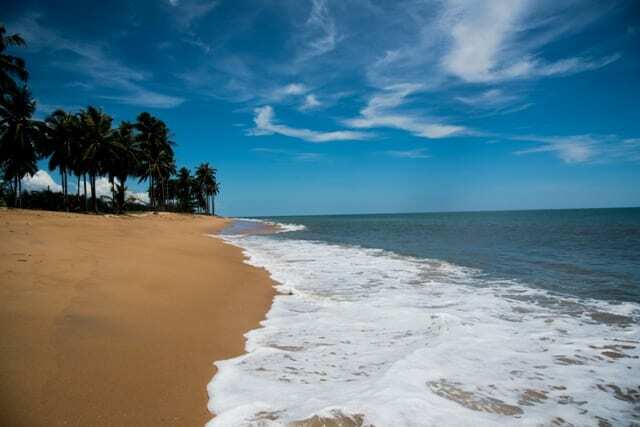 Also, check out our Top 6 Activities in the National Park. 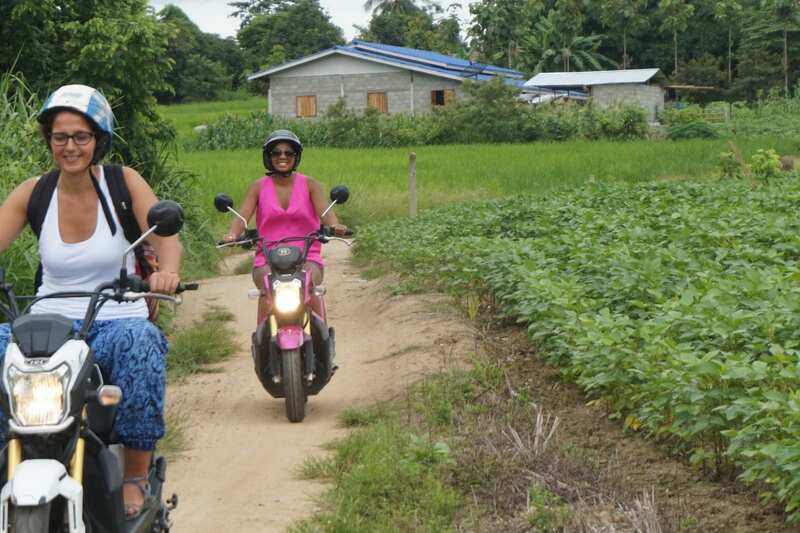 Once you’re in Khao Sok our staff will make sure you get the most from your time here! Come stay with us! 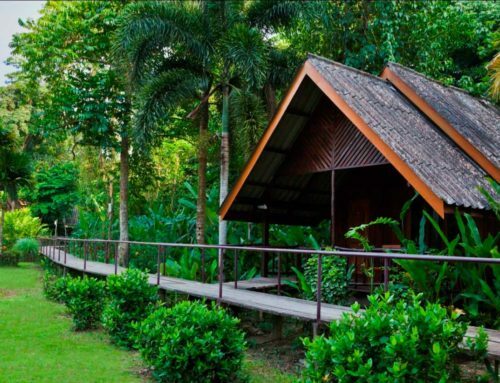 We’d love to provide you with your perfect Khao Sok accommodation and help you explore the depths of Khao Sok jungle!